Body-Composition, Athletic Performance, & Liver Support! L-Ornithine L-Aspartate contains a combination of amino acids that are used for and thought to help with a variety of purposes including enhanced body-composition, athletic performance, & liver support. 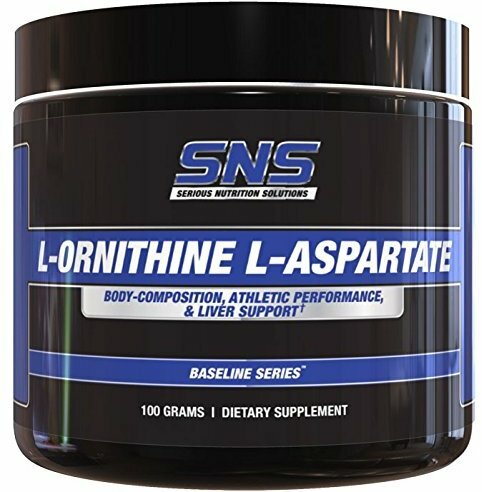 SNS L-Ornithine L-Aspartate powder provides you with a convenient way to use this ingredient and customize it to your desired dosage needs. 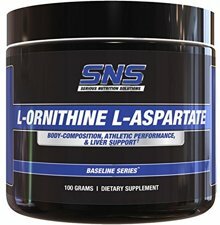 L-Ornithine L-Aspartate can be stacked with a variety of select other SNS products for improved synergistic results.